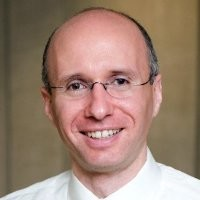 Aaron Bernstein, MD, MPH, is on faculty at Harvard Medical School and the Center for Health and the Global Environment. His work examines the human health dimensions of global environmental change, such as climate change and biodiversity loss, with the aim of promoting a deeper understanding of these subjects among policymakers, educators, and the public. Dr. Bernstein is a past recipient of a Harvard University Zuckerman Fellowship (2008) and has received Stanford University's Firestone Medal for Research. In 2009 he became the course director for Human Health and Global Environmental Change, offered jointly at the Harvard School of Public Health and Harvard Medical School, the only such course offered at a medical school in the United States. He received his AB from Stanford University, his medical degree from the University of Chicago Pritzker School of Medicine, and his MPH from the Harvard School of Public Health. He completed his medical training in the Boston Combined Residency in Pediatrics and now practices pediatrics at Children's Hospital Boston.